Background: Tumor lysis syndrome is a potentially fatal complication of oncological therapy. Atezolizumab is a recently-approved agent for the treatment of advanced urothelial carcinoma and, to the best of our knowledge, tumor lysis syndrome has never been reported after atezolizumab therapy for urothelial carcinoma. Case presentation: We present the case of a 77-year-old female who developed acute renal failure and tumor lysis syndrome after a single infusion of atezolizumab for metastatic urothelial carcinoma involving both upper and lower tract. Conclusion: Our case demonstrates that anti-PD-1 Immunotherapy can induce acute tumor lysis syndrome, which necessitates frequent laboratory monitoring and prompt initiation of appropriate therapy. Considering that atezolizumab and other immunotherapy agents are increasingly used in advanced cancer, oncologists should be alert when treating patients at high risk of tumor lysis syndrome, and determine appropriate prophylaxis. Tumor lysis syndrome (TLS) is a potential complication in cancer therapy, which is caused by the sudden, rapid death of cells, occurs much more commonly in patients with aggressive non-Hodgkin’s lymphomas, such as Burkitt’s lymphoma, and leukemias, in response to cancer therapies [1-9]. TLS is characterized by hyperphosphatemia, hyperuricemia, hyperkalemia, hypocalcemia, lactic acidosis, acute renal failure (ARF) and increased mortality. 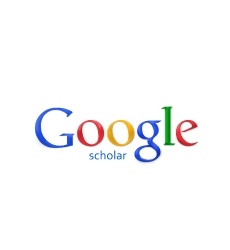 The incidence of TLS in patients with solid tumors is low [1,2]. The possible explanation of low incidence in patients with solid tumors developing TLS, may be related to the relatively insignificant response of these tumors to cytotoxic therapy or immunotherapy . To the best of our knowledge, TLS has not been reported following atezolizumab therapy for urothelial carcinoma. A 77-year-old Caucasian female with history of coronary artery disease status-post stenting, and adrenal insufficiency was admitted to our hospital for RUQ abdominal pain, generalized weakness and malaise. She was diagnosed with urothelial carcinoma bladder cancer in 2010, previously treated with transurethral resection for bladder tumor (TURBT) and intravesical administration of Bacillus Calmette-Guerin (BCG). In April 2015, her urine cytology showed atypical urothelial cells suspicious for high grade urothelial carcinoma. Urovysion™ fluorescence in situ hybridization (FISH) showed abnormal bladder FISH with 9 of 35 cells demonstrating increased copy number of chromosome 3, 7 and 17. A computerized tomography (CT) scan of the abdomen and pelvis with and without IV contrast showed abnormal retroperitoneal paraaortic lymphadenopathy is highly concerning for metastasis. Additionally, there was filling defect involving the inferior calyces of the left kidney which is concerning for uroepithelial neoplasm. She underwent cystoscopy, ureteroscopy, stent placement, biopsy of bladder mass showed invasive high grade urothelial carcinoma. A Positron emission tomography (PET) scanshowed multiple hypermetabolic retroperitoneal left para-aortic chain, and left common iliac lymph nodes, most consistent with metastatic lymphadenopathy. Anterior left perivesical nodularity and left hydroureteronephrosis was noted. In addition, markedly increased focal metabolism in the posterior mediastinum and a 2-3 mm right upper lobe noncalcified pulmonary nodules was seen. A fine needle core biopsy of periaortic lymph node showed malignant epithelial neoplasm consistent with metastatic urothelial carcinoma. The immunohistochemical stains demonstrates tumor cells being CK7 negative, CK 20 positive and GATA 3 positive. She was started on chemotherapy with gemcitabine and cisplatin with complete radiographic remission after four cycles of chemotherapy. Two weeks after the first dose treatment, she was admitted to hospital for progressive anorexia, fatigue, abdominal pain. At admission, the patient was notably ill-appearing and lethargic. On physical examination, the blood pressure was 107/70 mmHg; temperature 36.4C; heart rate 104/min. The chest was clear to auscultation. The liver and spleen were not palpable. Her laboratory results were notable for uric acid 14 mg/dL (NR 2.6-6.3), hyperkalemia with potassium 5.5 mmol/L (NR 3.6-5.0), hyperphosphatemia 7.1mg/dL (NR 2.4-4.7), calcium 7.4 mg/dL (NR 8.5-10.3), sodium 136 mmol/L (NR 135-145), chloride 103 mmol/L (NR 100-110), carbon dioxide 8 mmol/L (NR 19-27), BUN 97 mg/dL (NR 8-25), creatinine 6.7 mg/dL (NR 0.57-1.11), anion gap 25 mmol/L(NR 7-15), and lactate dehydrogenase (LDH) 1062 U/L (NR 125-243). The patient was treated with aggressive intravenous (IV) hydration and nephrology was consulted. Rasburicase was administered, which reduced uric acid to the normal range, but she remained anuric with acute renal failure. Despite aggressive treatment, her condition deteriorated. The patient declined hemodialysis, and she was subsequently discharged home with hospice care (Figures 1 and 2). 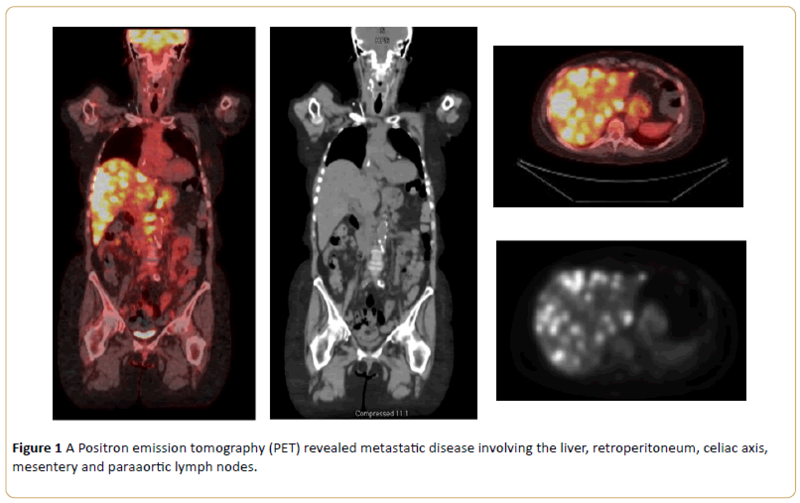 Figure 1: A Positron emission tomography (PET) revealed metastatic disease involving the liver, retroperitoneum, celiac axis, mesentery and paraaortic lymph nodes. Figure 2A: Biopsy of liver lesion showed malignant epithelial neoplasm consistent with metastatic urothelial carcinoma (hematoxylin-eosin). 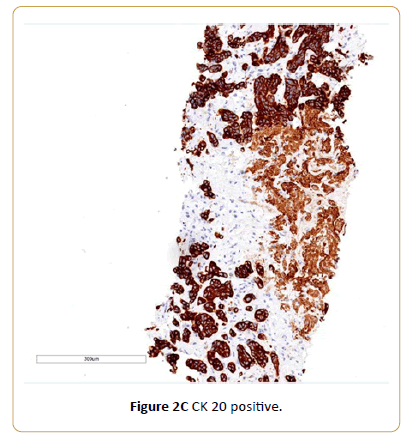 Figure 2B: The immunohistochemical stains demonstrates tumor cells being CK7 negative. Figure 2C: CK 20 positive. Bladder cancer is the fifth most common cancer in adults. Nearly 77,000 people will be diagnosed with bladder cancer in the USA in 2016, and 450,000 were diagnosed worldwide . Bladder cancer is largely a disease of the elderly; the average age at diagnosis is 70 years . The standard first line therapy for advanced bladder cancer is cisplatin-based chemotherapy. Patients receiving this therapy have a median survival of 12-15 months . Immune checkpoint blockade is an exciting cancer treatment modality which is demonstrating impressive clinical results across multiple tumor types . Atezolizumab is a programmed death-ligand 1 (PD-L1) blocking antibody . On May 18, 2016, the U. S. Food and Drug Administration gave accelerated approval to atezolizumab for the treatment of patients with locally advanced or metastatic urothelial carcinoma who have disease progression during or following platinum-containing chemotherapy or have disease progression within 12 months of neoadjuvant or adjuvant treatment with platinum-containing chemotherapy. The approval was based on a multicenter, single-arm trial in 310 patients with locally advanced or metastatic urothelial carcinoma . The confirmed objective response rate (ORR) was 14.8% in all treated patients. Median DoR was not reached and response duration ranged from 2.1+ to 13.8+ months. Of the 310 patients, 32% were classified as having PDL1 expression of greater than or equal to 5% (defined as PD-L1 stained tumor-infiltrating immune cells [ICs] covering greater than or equal to 5% of the tumor area). The remaining 68% of patients were classified as having PD-L1 expression of less than 5% (PD-L1 stained tumor-infiltrating ICs covering less than 5% of the tumor area). The confirmed ORR was 26.0% in the patients whose specimens had PD-L1 expression of greater than or equal to 5% and 9.5% in the patients whose specimens had PD-L1 expression of less than 5%. Recently, another two PD-L1 inhibitors nivolumab  and pembrolizumab  also demonstrated promising activity for advanced urothelial carcinoma. Most studies investigating blockade of PD-1 or PDL1 report favorable toxicity profiles with the vast majority of treatment related AE being of low grade [14,15,18,19]. The most common side effects of treatment with atezolizumab were fatigue, decreased appetite, nausea, urinary tract infection, fever, and constipation. Atezolizumab may cause infection and serious immune system-related side effects . To the best of our knowledge, this is the first reported case of TLS developing as a result of PD 1 immunotherapy for urothelial carcinoma involving both upper and lower tract. Increased awareness of potential complications of anti-PD-1 immunotherapy is crucial in clinical decision-making and can help guide preventative measures to avert poor outcomes. A number of risk factors for TLS have been reported including dehydration, impaired pre-therapy kidney function, hyperuricemia, increased tumor cell proliferation rate and size, and chemosensitivity of the malignancy [1-4]. Our patient was not given prophylaxis before therapy, because the urothelial carcinoma was not considered a risk and no previous published report TLS secondary to current therapy. We speculate the possible contributing factors of developing TLS in this patient include high metastatic tumor volume which was sensitive to atezolizumab, which resulted in rapid tumor necrosis. Recent published findings showed patients with genetic defects in DNA mismatch repair (MMR) cancers may be uniquely susceptible to immune checkpoint inhibitor strategies, including urothelial tract cancers [20,21]. Since the frequency of microsatellite instability in sporadic tumors of the upper urinary tract is high, we plan to routinely screen these patients for their microsatellite-instability (MSI) status. Biomarkers such as PD-L1 expression , mutation load  and MSI status [22-24] may potentially help identify those at high risk for TLS, along with known clinical risk factor [3,4] for TLS. We recommend prophylaxis with allopurinol and hydration should be considered for high risk patients before PD-1 Immunotherapy. In addition, biomarkers to predict the response to checkpoint blockades may be also helpful for management these patients. TLS is a rare, life threatening complication that can arise from treatment of high tumor burden, drug sensitive, and rapidly proliferating neoplasm particularly of hematological origin. It is rarely described in patients with solid tumors. We report the first case of tumor lysis syndrome in a patient with metastatic urothelial carcinoma involving both upper and lower tract after atezolizumab treatment. Our experience demonstrates that administration of immunotherapy such as atezolizumab can induce acute tumor lysis syndrome, which necessitates frequent laboratory monitoring and prompt initiation of appropriate therapeutic intervention. Howard SC, Jones DP, Pui CH (2011) The tumor lysis syndrome. N Engl J Med 364: 1844-1854. Mott FE, Esana A, Chakmakjian C (2005) Tumor lysis syndrome in solid tumors. Support Cancer Ther2: 188–191. Coiffier B, Altman A, Ching-Hon P (2008) Guidelines for the management of pediatric and adult tumor lysis syndrome: an evidence-based review. J ClinOncol 26: 2767–2778. Montesinos P, Lorenzo I, Martín G, Sanz J, Pérez-Sirvent ML, et al. (2008) Tumor lysis syndrome in patients with acute myeloid leukemia: identification of risk factors and development of a predictive model. Haematologica93: 67-74. Wilson FP, Berns JS (2014) Tumor lysis syndrome: New challenges and recent advances. Adv Chronic Kidney Dis21: 18–26. Coiffier B (2010) Acute tumor lysis syndrome-a rare complication in the treatment of solid tumors. Onkologie33: 498–499. Cairo MS, Coiffier B, Reiter A (2010) Recommendations for the evaluation of risk and prophylaxis of tumor lysis syndrome (TLS) in adults and children with malignant diseases: an expert panel consensus. Br J Haematol149: 578–586. Sarno J (2013) Prevention and management of tumor lysis syndrome in adults with malignancy. J AdvPractOncol4: 101–106. Bose P, Qubaiah O (2011) A review of tumourlysis syndrome with targeted therapies and the role of rasburicase. J Clin Pharm Ther36: 299–326. Raghavan D, Shipley WU, Garnick MB, Russell PJ, Richie JP (1990) Biology and management of bladder cancer. N Engl J Med 322: 1129-1138. Von Der Maase H, Hansen SW, Roberts JT (2000) Gemcitabine and cisplatin versus methotrexate, vinblastine, doxorubicin, and cisplatin in advanced or metastatic bladder cancer: Results of a large, randomized, multinational, multicenter, phase III study. J ClinOncol18: 3068–3077. Pardoll DM (2012) The blockade of immune checkpoints in cancer immunotherapy. NatRev Cancer12: 252-264. Inman BA, Longo TA, Ramalingam S, Harrison MR (2016) Atezolizumab: A PD-L1 blocking antibody for bladder cancer. Clin Cancer Res. Rosenberg JE, Hoffman-Censits J, Powles T, Van Der Heijden MS, Balar AV, et al. (2016)Atezolizumab in patients with locally advanced and metastatic urothelial carcinoma who have progressed following treatment with platinum-based chemotherapy: A single-arm, multicentre, phase 2 trial. Lancet 387: 1909-1920. Sharma P, Bono P, Kim JW (2016) Efficacy and safety of nivolumabmonotherapy in metastatic urothelial cancer (mUC): results from the phase I/II CheckMate 032 study. J ClinOncol 34: 1. Balar A, Bellmunt J, O'Donnell PH, Castellano D (2016) Pembrolizumab ( pembro) as first-line therapy foradvanced/unresectable or metastatic urothelial cancer: Preliminary results from the phase 2 KEYNOTE-052 study. Annals of Oncology 27: 1. Powles T (2014) MPDLA (anti-PD-L1) treatment leads to clinical activity in metastatic bladder cancer. Nature 515: 558–562. Brahmer JR (2012) Safety and activity of anti-PD-L1 antibody in patients with advanced cancer. N Engl J Med 366: 2455–2465. Le DT, Uram JN, Wang H, Bartlett BR (2015) PD-1 blockade in tumors with mismatch-repair deficiency. N Engl J Med 372: 2509-2520. Castro MP, Goldstein N (2015) Mismatch repair deficiency associated with complete remission to combination programmed cell death ligand immune therapy in a patient with sporadic urothelial carcinoma: immunotheranostic considerations. J Immunother Cancer3: 58. Amira N, Rivet J, Soliman H, Cancel-Tassin G (2003) Microsatellite instability in urothelial carcinoma of the upper urinary tract. J Urol170: 1151-1154. Hartmann A,Zanardo L, Bocker-Edmonston T (2002) Frequent microsatellite instability in sporadic tumors of the upper urinary tract. Cancer Res 62: 6796-6802. Khagi Y, Kurzrock R, Patel SP (2016) Next generation predictive biomarkers for immune checkpoint inhibition. Cancer Metastasis Rev.